were out on a silly adventure when they came across a Mu from Final Fantasy IX! 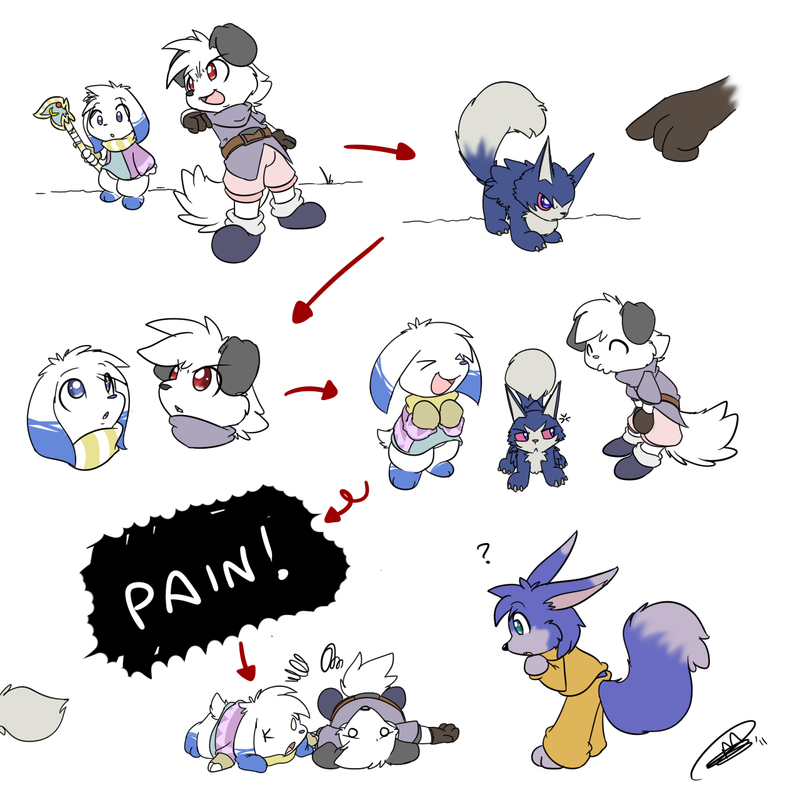 But they thought it was Kachi hiding in one of his silly forms - so they went over to squee and giggle all silly wiff it - and then the Mu attacked 'em all and scampered off! Oh dear.... Silly silly little ones.